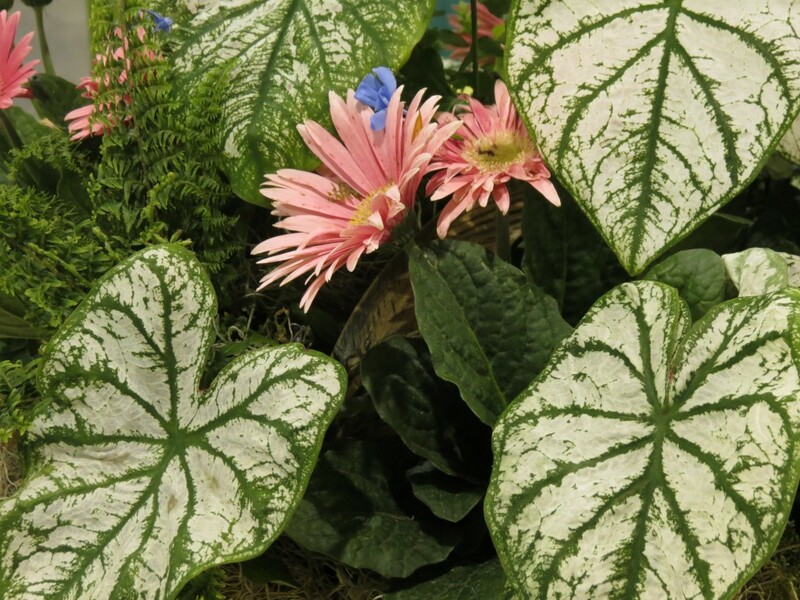 Trellis | Garden Show Offers Healthy Dose of Spring! Garden Show Offers Healthy Dose of Spring! We’ve all been stuck inside far longer than we’d like to be this winter. Some would argue it’s been longer than usual that this winter has carried on. So when Saturday dawned cool and clear and sunny, it was very hard to deny the urge to be outside, to have hands in the dirt, to be able to check off a few gardening tasks on the “to do” list. When Sunday dawned, there was a welcome drizzle that persisted most of the day. A seasoned gardener respects days like this…AND HEADS DIRECTLY TO THE NEAREST INDOOR GARDEN SHOW! For me, that was a visit to the Spring Home and Garden Show sponsored by UGA Cooperative Extension and the Master Gardeners of Central Georgia in Perry, GA. Easy location to get to, lots of helpful MGEVs to help with doors, purchases, admission, and general advice. I was immediately abandoned at the door by my husband, who made a beeline for the Japanese maples. That was okay with me, because I was on the look-out for the source of those spectacular heucheras that I had seen going out the door as I came in. The Garden Show, indeed, offered a fantastic dose of spring when it was impossible to be outside. MGEVs were integral to making this event happen. They provided the leadership that coordinated the event, lined up the vendors, arranged the space, and organized the many other MGEVs to staff the two-day event. 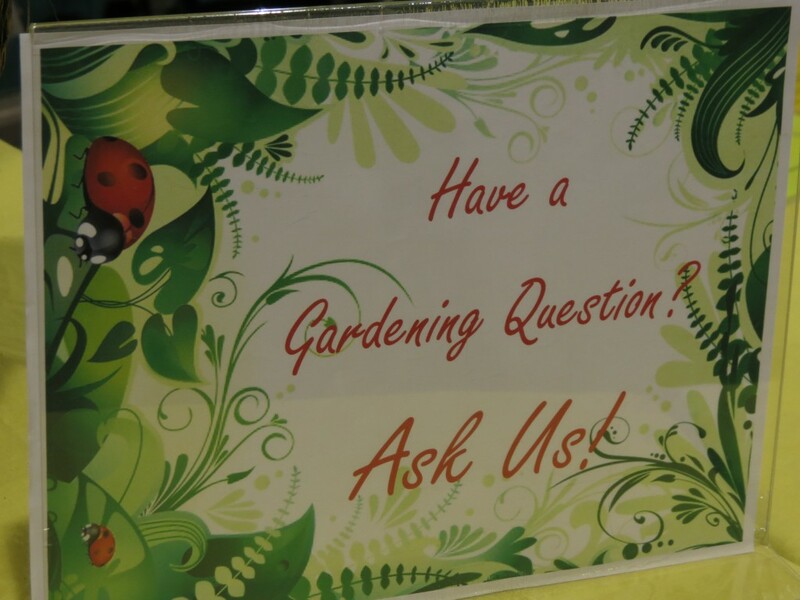 They were the knowledgeable volunteers who staffed the Help Desk, answering questions from the public about various gardening questions. 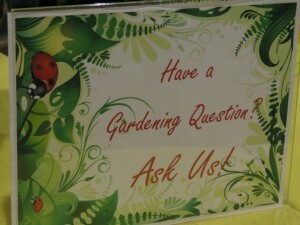 I bet the most frequently asked question was “when can I plant these tomatoes/petunias/coleus/etc. that I just bought?” MGEVs were the energy that cleaned up and closed down the event with a very pleased exhaustion, I am sure. As I walked through the Show, I remembered days as a business owner participating in events like this. I was so appreciative of the energy that another group invested in creating an event to reach my target audience in a concentrated effort, a way to sell a lot of product in a short period of time, a way to gain additional exposure for the business. 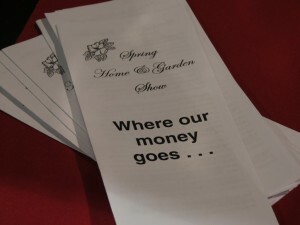 Events, such as Garden Shows, are fantastic business opportunities, and to have volunteers on hand helping the customers with their purchases so they could buy more, or helping to answer all of those seasonal gardening questions, means that the business owner can concentrate on business. 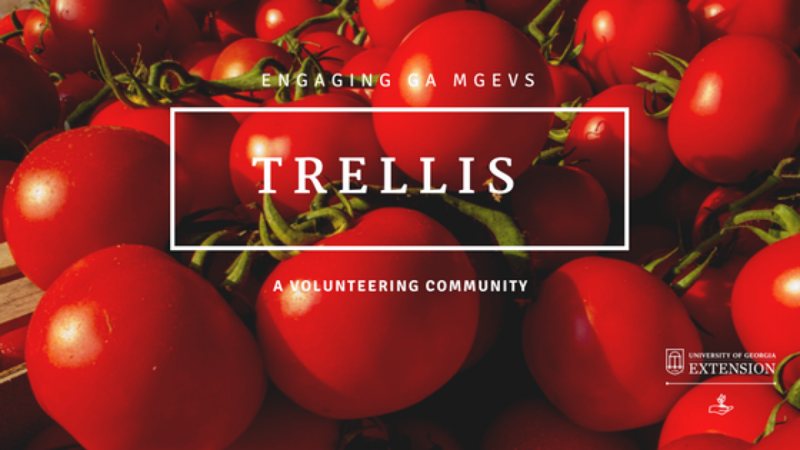 Events like this are perfect examples of how horticulture, gardening, and MGEV leadership can create positive economic impact in a community. Attendees receive research-based gard ening information from trained Extension volunteers. 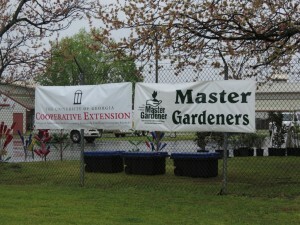 A quality event generates interest in gardening and creates demand for similar events in the community. The products sold by vendors mean economic gain for the business. On top of that, MGEV-led Extension projects receive much needed support. Sounds like a true win-win to me!